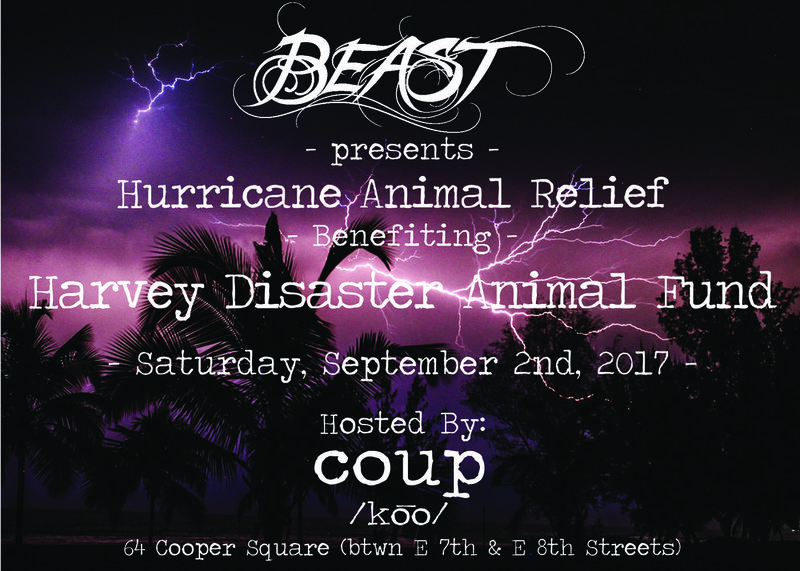 BEAST is on a mission to help animals worldwide. We’re starting a movement to protect the world's incredible and creatures. And we’re doing it while having fun. We party like we give a damn. Join us September 2nd for our harvey disaster animal fund event to raise money for 4 paws farm and provide food, shelter, veterinary care and transportation for animals in need.